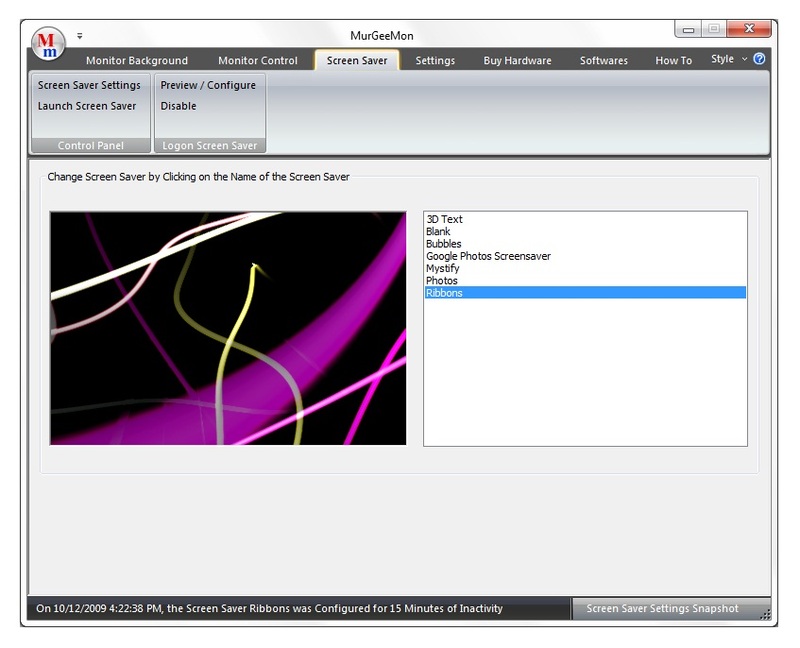 Have a look at the given below Screenshots of Dual Monitor Software MurgeeMon. The Screenshots are not described in detail here, but if you look at them closely, they all tell their story or the functionality that they wish to offer. 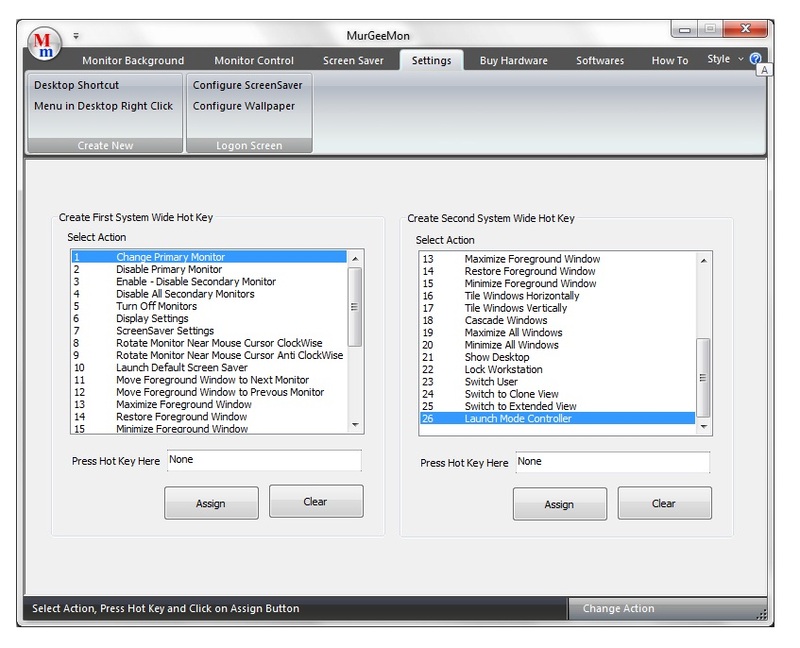 You can also Download the Dual Monitor Software and check out all the functionalities offered by the Software as well. The Screenshots are for MurGeeMon v1.6 and the screenshots are to full scale. 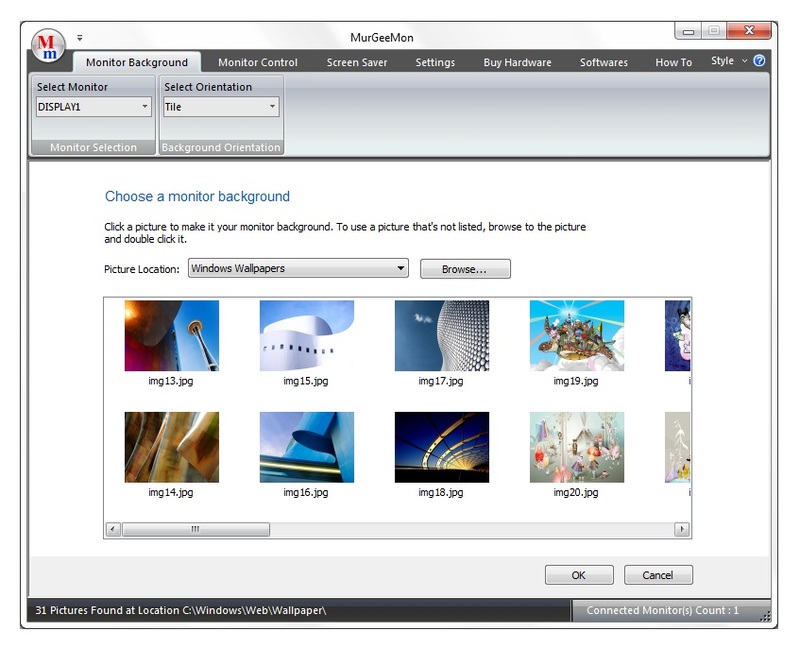 In case you hover your mouse cursor over any of the screenshots below, a tool tip will appear describing the image briefly. 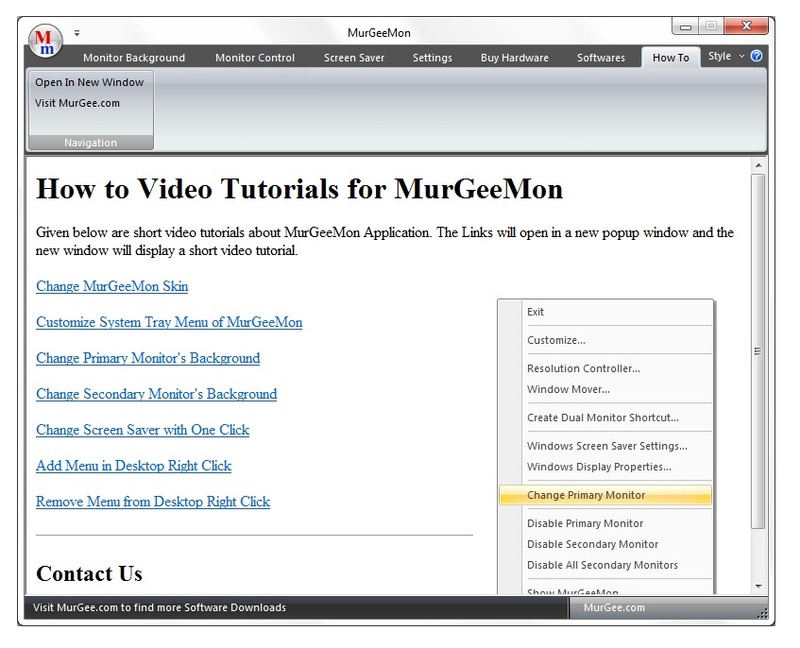 You can also navigate to Dual Monitor Software Home page to find out more information about the software download. 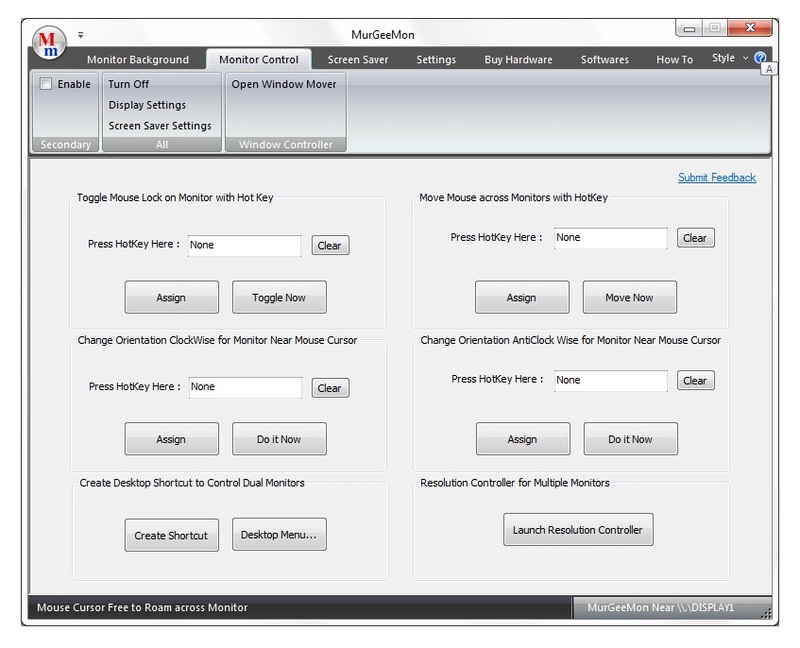 Download Mouse Cursor Automation Software Utilities such as Auto Clicker, Mouse Mover, Auto Mouse Click and many more Software Utilities at MurGee Home.